Happy Manic Monday, everyone! Since I am still vacationing (it's hard to be me), I do have another special guest for you today! Cynthia is no stranger to the Manic Monday linkup, so it seemed a natural for her to step in for me today and share her endless inspiration! Gina and I are always amazed at the stylish ladies who link up with us-- you have no idea how lucky I feel getting to dive into everyone's posts each week, and how much I've learned from each one of you! If you remember, one of Cynthia's Manic Monday looks inspired this look of mine a few weeks ago. Week after week she shares her effortless style and I can't hardly wait to see what she'll do next! I know you'll be inspired! 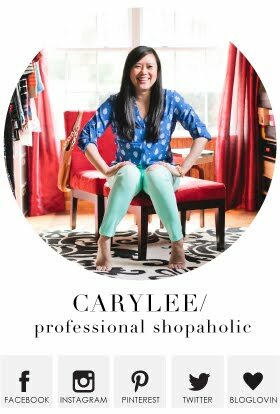 I have to tell you how excited I am that I get to do my first guest post for none other than fabulous Carylee. I absolutely love her style and although we've never met in person, I have no doubt that she is as sweet and fun as she appears to be on her blog. I am so glad that we finally get to wear dresses without having to cover up our legs with tights or boots. I've been dying to wear my Madewell Afternoon dress. This is their signature dress they carry every year in different colors and patterns. I love the versatility of this dress; you can easily dress it up or down depending on your mood. 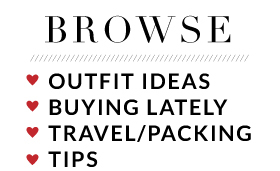 I chose a casual look for this post by pairing it with a denim jacket and espadrilles. The color combination completely sold me on these Soludos espadrilles as soon as I laid my eyes on them. It makes me think of a lazy afternoon at the beach with a refreshing rainbow sorbet in hand. Can you tell I'm ready for summer? I finished the look with one of my favorite clutches. Curious to see how else I would style this dress? Hop over to My Rose Colored Shades and see how I dressed it up a bit for a casual chic look. Follow My Rose Colored Shades on Bloglovin! This look is so classic Cynthia to me. Classic outfit with a feminine flair and just a hint of trendy details like the shoes. Still loving that necklace...I have a similar silver one from Express but might need yours for a gold option! And it's our pleasure to be with you each week for the linkup. Great seeing the fab Cynthia here! 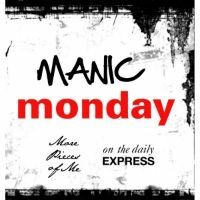 I love linking up with you and Gina on Manic Monday and it's an honor to be able to guest post for you. Thank you and hope you're thoroughly enjoying your vacation! Love this look! Madewell is my favorite and I adore the bright pop of color from the pink clutch! Fab look! I cannot believe how well those shoes match the necklace! I love it! Great casual look on you. Love your purse. It's really cute. Such cute shoes! The colors are so fun for spring and summer! perfect denim jacket, really though. You look so lovely in this outfit! It's perfect look for sunny day, I adore your white dress! Cynthia is great! Perfect guest post. I always love her style, and this outfit is no exception. I absolutely agree that blogging is such a fantastic experience! I love getting to "meet" new people and always find such great inspiration. Thanks for hosting! Love those espadrilles! Thanks for guest posting, lovely to "meet you"! I've been wanting to try Madewell's Afternoon dress! It looks adorable on you! I love this whole look. Glad we got to meet you! Love your purse, the colour is gorgeous! I love how casual and pretty this look is – can't wait to try something similar! 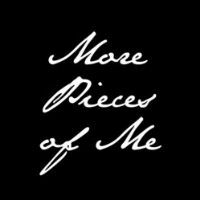 Absolutely adorable and a great guest post. Hope you are enjoying your vacation!